The EARTH plate tectonics WAR against the human blood platelets PROBLEM. The Earth's surface is divided into huge, thick plates that drift atop the soft mantle. ...trenches, mountain range formation, and many other geologic phenomenon. Let's look at the relationship between EARTH and humans ............. via the KOREAN WAR event of year 1950 ..and the Korean War human blood platelets --> Plate letters ...communications theory. The EARTH geology WAR known as the Korean WAR ..... can be viewed as an EARTH plate tectonics WAR against the human blood platelets PROBLEM in blood social engineering projects with errors. Let's look at the situation. The Korean War was a biochemistry cell war that was displayed on the Earth geography surface by visible human conflict ...... thus providing important EARTH LAB hematology data for researchers about the intellectual thoughts of red and white bl00d cells AND important data about the HEART / b100d ..... geography/geology LINK to EARTH. As professors with blood self-awareness might explain ..
1) the geography professor states that EARTH land/soil is measured in acres --> ac + res --> alternating cycles residents (this being the heart pulse alternating cycle). 2) the geology professor has physical biology HEART and an English language SYMBOL MACHINE heart pulse that links to EARTH. ........EARTH ..... thus we see H oscillate between the 1st and last positions ...generating a communications LINK with earth systems. Now, the phrase is often heard " I had a HEART to HEART conversation with my friend" . A geologist has the " HEARTH to EARTH intellectual conversation with his best friends .. Eearth and Nature'. Thus it is believed that the blood cells in some people .... sense the EARTH's latitude and longitude coordinates ..... and save this map data at some subliminal mind level ...giving some people a good sense of geography locations / direction. 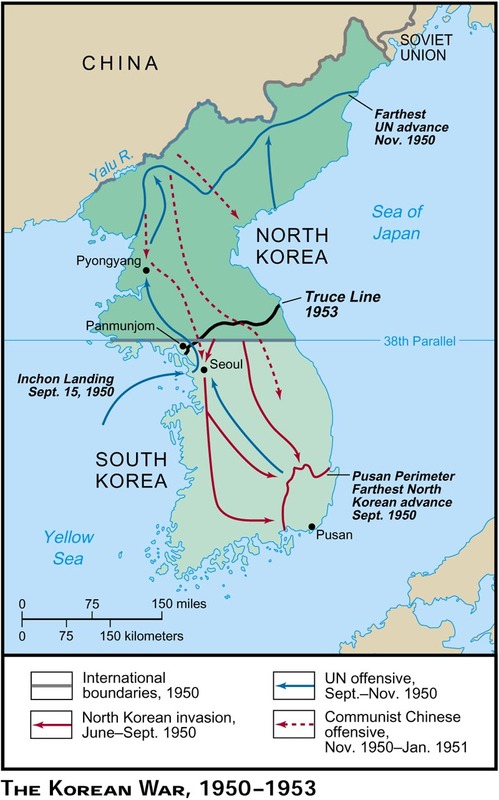 Get the facts on the Korean War between North Korea and U.S.-backed South Korea, which lasted from 1950 to 1953 and was the first Cold War military action. "All the world's a stage, and all the men and women merely players: they have their exits and their entrances; and one man in his time plays many parts, his acts ..
"All the world's a stage, and all the mental and women merely blood cell players: they have their exits and their entrances (En trances --> Virginia TECH English trances and comatose school); and one man (Mr.CHO from Korea with a reminder message about 1950) in his time plays many parts, his acts .. The above was converted by Nature to human size display. The red Communist party of China and North Korea represented red b100d cells. How Stuff Works "Red Blood Cells"
The white b100d cells were represented by white-skin Americans, Australians, and British. Friday, 20 April, 2001, 15:20 GMT 16:20 UK. Britain's forgotten war. The 100,000 --> implies number 100 --> B + number 100 + D --> spell B100D signal for England. England code word --> En + gland ---> biology gland messages to England from year 1950 ....waiting analysis in year 2013. The earth geology department .... tectonic plates provided the EARTH STAGE platform fro the platelets. Thus the "Tale of 2 different cells" becomes news in 1950 to 1953. The UN troops --> they represent the Carl Jung collective UNconsciousness organization (the GROUP MIND of the unconscious and subconscious peoples) with their world HEAD ....located in a building in New York City. Above, we have provided a skeleton outline of the situation. Below, we provide more pieces to this interesting puzzle about the NATURE of b100d and its social navigation language signals to human thinkers. The molecular cell biology WAR, the hematology B100D war, the potassium biochemistry WAR ..... took place at an appropriately named EARTH geography land location with symbol K.
Herbert Spencer, The Principles of Psychology  ... Author: Herbert Spencer ....form links in the correspondence between internal and external changes. Herbert Spencer's significance in the history of English thought depends on his ....definition of life as the continuous adjustment of internal to external relations, ..
INTERNAL biology potassium metabolism used largered sized EXTERNAL display objects (named potassium humanoids) .... to act out EVENT display messages ... to provide empircal data for those interested in Gesalt theory, Grand Unified Theory, and the hematology component of the Theory of Everything. Using super-symmetry physics tools ..... mirrors and parallels to LANDAU geo-physics ...we have the living EARTH cell and its VISIBLE cell wall display ........ that is the Earth geography land surface is like a biology cell wall ...... and interface communications level with other entities. The potassium symbol K and its K-information display EVENT we are inerested in is the year 1950 Korean wars ..... the potassium war K. Since human blood was displayed in the potassium battlefields on the EARTH geography LAND/soil surface ... we call it the potassium B100D plasmid war. WHY? Let's continue with year 1950 and the EARTH systems ..... potassium message creation EVENT ..... to provide data for theoritists in physics, chemistry, philosophy, etc. ....who need to consider Mead atomic nuclear anthropology family ....and its societal expressions of anger ..... such as the K war of atomic number 19 in the century 1900 + 50 years. The Earth geography map 38th parallel to the periodic atomic table symbol MAP .... atomic mass 39 .... .super-symmetry signal to the world..... ignored by graduate students in year 2013. Below, we see the symbolism. Now we have cover the signals ..
38th parallel LINE in geography -1 = 37 ...and we see the geology/geography battle at location 37 (Virginia TECH Shooting) with KOREAN heritage .. Mr.Cho. Thus we have the new Korean geography coordinates WAR ...continued at Coordinates --> 37 degrees 13' 46" North in Virginia LINKED to the EARTH climate and human thermodynamics of 37 degrees Celsius ant coordinates 37 degrees NORTH. Thus it appears that Nature's cell evolution now includes bio-computer abilities ..... the cell may be able to keep track of latitude, longitude, and altitude coordinates as the human changes location on the Earth surface. This geography map instinct would be similar to animals and birds that migrate. Thus we have a few pieces to an interesting geology/geography war puzzle involving molecular cell biology and the social engineering of PLATES with the dinner plates SALT treaty with the oceans salt water.